2. Geography (Physical Geography dan Social Geography). 3. Classroom Action Research of Geograpy Studies. 4. Development of Geographical Learning Model. 5. Development of Geographical Learning Method. 6. 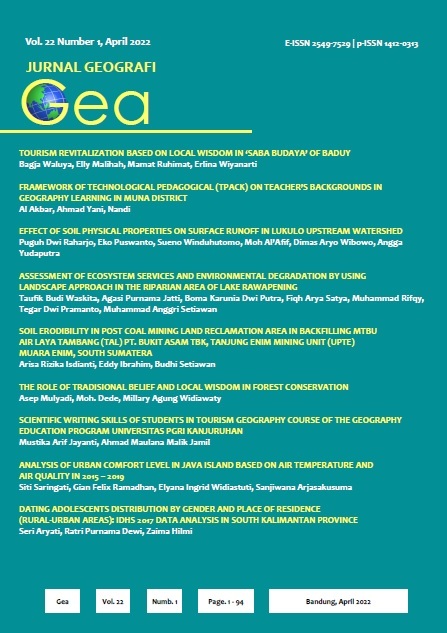 Studies of Geographical Learning Content. 7. Studies of Geographical Education Policy. 8. Application of Remote Sensing and GIS for Education Purposes. 9. Education Philosophy and Geography Philosophy. New article submission for Volume 17 Number 1, April 2017.